Visit our dastardly crew for an adventure across the seven seas! Explore the dark and mysterious world of pirates and shipwrecks from Western Australia. Discover objects from WA shipwrecks and learn about our rich history. Create your very own treasure chest to take home! Weigh anchor and set sail to our Shipwrecks Cove at Westfield Carousel these school holidays! Find us next to the Concierge desk at Westfield Carousel from 11am – 3pm daily. Want more pirate fun? 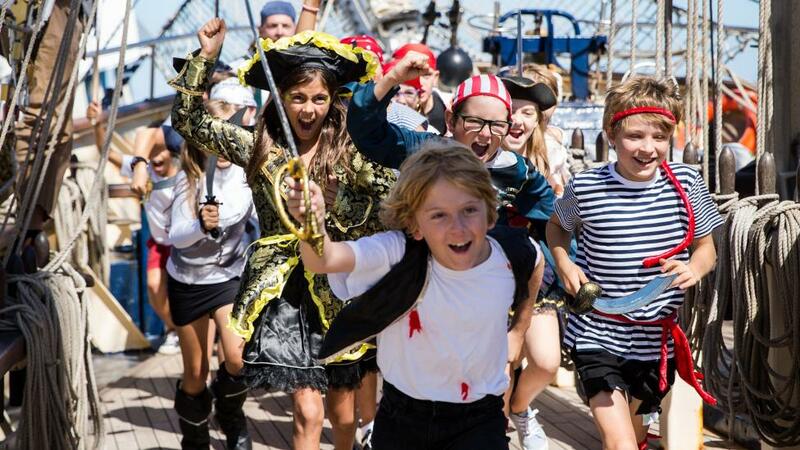 Visit our latest exhibition Horrible Histories – Pirates: The Exhibition at the WA Maritime Museum. This activation is proudly supported by Quadrant Energy and Westfield Carousel. Caption: Shipwrecks Cove at Westfield Carousel.